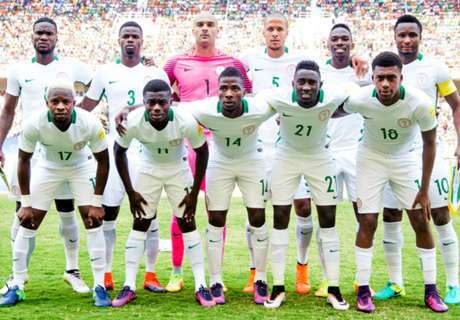 The Super Eagles will hold their first training session at the Hive Stadium London from 10 am today (Tuesday) ahead of the team's two international friendly games against Senegal and Burkina Faso on Thursday and Monday respectively. The Eagles who are scheduled to have their breakfast at 8:30 (9:30 Nigerian time) will depart for training at 9:45 (10:45 Nigerian time), it was also gathered. Meanwhile, the Super Eagles Team Coordinator, Patrick Pascal informed journalists that Daniel Akpeyi and Ikechukwu Ezenwa have both received their entry visas into the United Kingdom ahead of the team's two international friendly games. Pascal also noted that the backroom staff yet to join up with the squad will know their fate on Wednesday if they will make the trip to London for the games. "We applied for visas, which should take 10 days, it will elapse on Wednesday. Akpeyi and Ezenwa already have theirs," Pascal revealed to newsmen. "Once we get our visas on Wednesday we will travel the same day."